The Animal Medical Center Copperas Cove team of skilled veterinarians welcomes you to our practice. Proudly serving the Copperas Cove area. 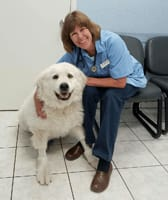 At Animal Medical Center Copperas Cove, it is our daily privilege to provide quality vet care to your cherished pet, with compassion and competence. We hope to ensure a positive impact on our patients, pet owners and the local community. Dr. Kelly Henton has worked with Animal Medical Center Copperas Cove since graduating from Texas A&M College of Veterinary Medicine in 2004. She currently acts as a managing veterinarian alongside Dr. Ed Kahil. Her veterinary special interests include preventive care, internal medicine, and identifying masses, fungal, and bacterial infections with cytology to help guide therapy. She traveled the world as an Army spouse prior to her veterinary career, is a mother of three grown children, and a grandmother of 4 amazing grandchildren. 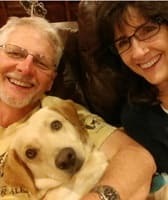 She currently lives in Kempner with her husband, Jeff, of 34 years, Thor the energetic yellow lab, and a very large and playful Yorkie named Reggie. The Hentons grow and bale horse hay in their spare time. Dr. Henton enjoys walking her dogs, growing vegetables when the Texas heat and bugs allow it, and traveling to visit her grandchildren whenever possible. Graduated from Texas A&M University, School of Veterinary Medicine in 1981. Professional interests include internal medicine, wellness and promoting the human companion animal bond. Graduated from Texas A&M University, School of Veterinary Medicine in 1985. Strong interest in soft tissue, orthopedic and neurologic surgery including Tibial Plateau Leveling Osteotomy (TPLO), joint surgery, fracture repair and has recently started a hip replacement program. 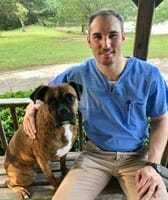 Strives to continue his education in veterinary medicine by studying daily and averaging 80 hours per year in continuing education. Dr. Jake Triggs was born and raised in Hattiesburg, Mississippi. After high school he attended Jones County Junior College before transferring to Mississippi State University, where he graduated with a Bachelor of Science Degree from the College of Agriculture and Life Sciences. 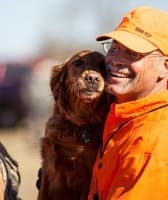 He married Megan Halliburton prior to starting Veterinary School at Mississippi State University where he graduated in 2016. His interests include: soft tissue surgery and wound care, orthopedic surgery, and ophthalmology. He and his wife have one dog, a Boxer, named Deacon. Outside of veterinary medicine Dr. Triggs's other interests include hunting, hiking, target shooting, and exercising. Dr. Soreng grew up in Eugene, Oregon. She graduated with a Bachelor of Science from Davidson College in North Carolina in 2013. 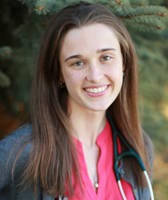 She then went to veterinary school at Colorado State University and graduated as a Doctor of Veterinary Medicine in 2018. Her interests include emergency and internal medicine, and soft tissue surgery. Outside of veterinary medicine Dr. Soreng enjoys fly fishing and skiing. She and her fiancé have two dogs, a boxer and a german shorthaired pointer.